Filmfare awards are all set to happen tomorrow night and the buzz for the most anticipated awards night is already reaching the sky. However, this time, the ethical grounds of the Filmfare awards have been questioned. For years, popular awards have been sponsored by allegedly cancerous products, and while no one questioned the integrity earlier, the Food & Drug Administration has addressed the issue. 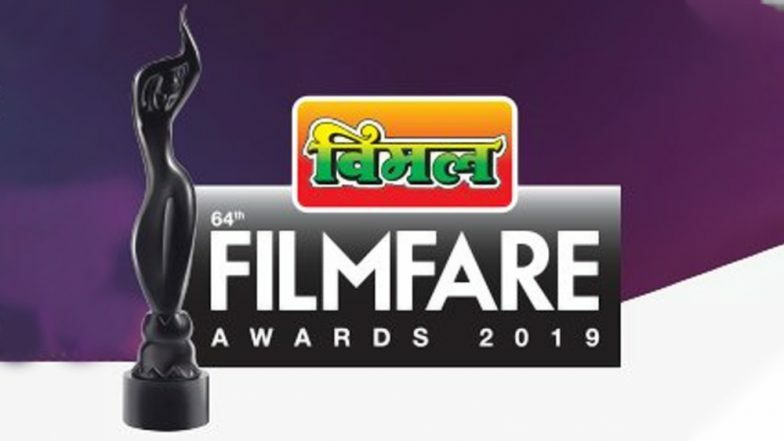 64th Vimal Filmfare Awards 2019: Vicky Kaushal and Kriti Sanon All Set to Rock the Dance Floor - Watch BTS Videos. A letter has been issued from the office of the Joint Commissioner, Food & Drug Administration, addressing the CEO/Organisers of the Filmfare Awards. The letter asks why the gutkha and tobacco-producing company Vimal, which is already banned in Maharashtra, is one of the sponsors of the Filmfare awards this year. The letter further demands the organisers to have an explanation, failing to which strict action will be taken.